I confess that I approached Grayson Perry’s exhibition at the British Museum, The Tomb of the Unknown Craftsman with a fair degree of apprehension. And that sense of apprehension was not lessened as we approached the exhibition to be greeted by the motorbike above. This monument to kitsch was used by Perry to take his teddy bear, the above-named Alan Measles, on a tour of Germany. Not much else to say really, except I’m surprised I didn’t turn round there and then. But look closer at the motorbike. Actually there is an enormous amount of craftsmanship and attention to detail in its customisation, and a great deal of playfulness. So whilst it is still kitsch, perhaps there was hope for the exhibition. It is actually an interesting and enjoyable exhibition which combines Perry’s own works with items from across the British Museum collection which respond to those works. Perry takes us on “a pilgrimage to his imaginary world. along the way he explores a range of themes connected with craftsmanship and sacred journeys”. It is exhibition which makes you think, makes you look at things in new ways and most of all makes you aware that there is nothing really new under the sun. This was my first exposure to Perry’s work and what comes across from this exhibition is firstly that he is a craftsman himself. His own pieces are beautifully constructed made and as someone else pointed out “he does the tricky bits himself” (Damien Hirst, please note). Secondly, he has a great sense of humour which pops up all over the place starting with the first work you see in the exhibition. This is a wonderful pot, called You Are Here which parodies all th reasons why someone might have come to the exhibition (“I’m into off-beat stuff” etc.). Thirdly he has a genuine interest and pleasure in the collections of the British Museum and an ability to bring together works to make connections and juxtapositions that are interesting and intriguing. I would encourage everyone who has the chance to visit. 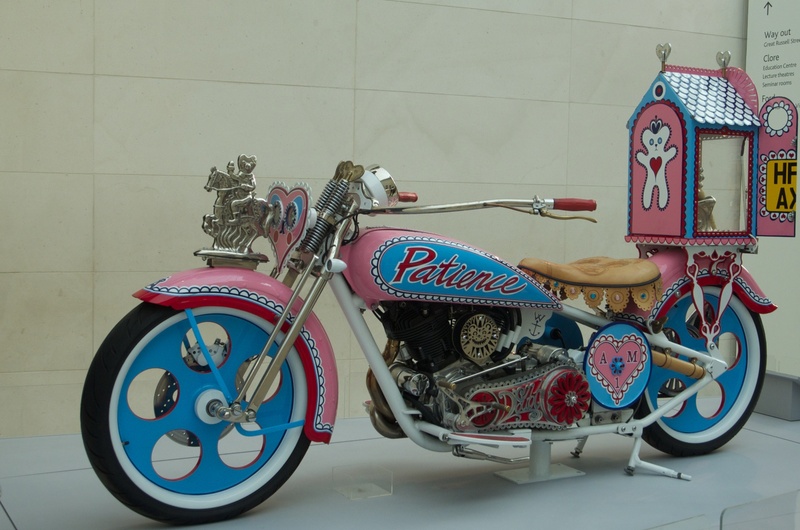 Posted in Art, England and tagged Alan Measles, British Museum, craftsmanship, Grayson Perry, kitsch, popemobile. Bookmark the permalink.